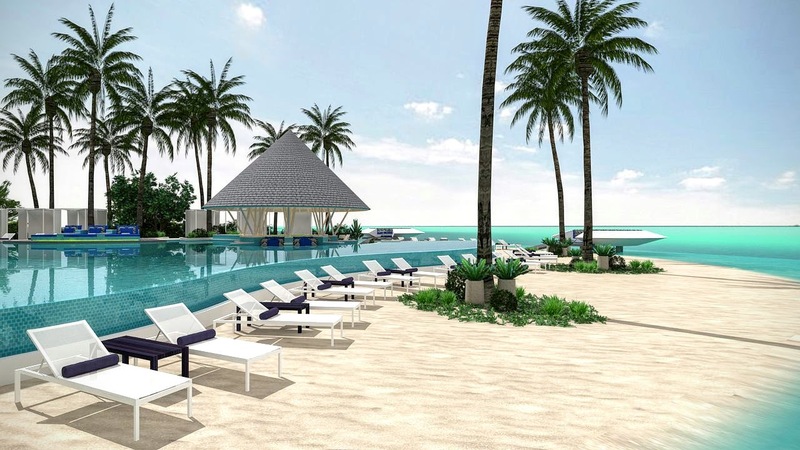 Kandima Maldives will be the first lifestyle resort in the country and will offer guests the opportunity to experience the Maldives in a new way. Offering one of the largest selection of F&B outlets in the country, with an incredible choice of ten delicious restaurants and bars, all featuring unique and individual menus offering flavours of the world from Chinese and Japanese to authentic Maldivian and Mediterranean. So whether it be tropical or traditional, Kandima has something to suit everyone’s tastes. Kandima Maldives has announced the appointment of their new executive chef, Ken Gundu. Originally from Botswana, he is the first executive chef from mainland Africa in the Maldives. Chef Ken has been in the industry for twenty-one years and comes to Kandima Maldives after nearly five years as Executive Sous Chef at the highly regarded Tribal restaurant at Per Aquum Niyama. During his career he has worked in some of the world’s leading hotels, including the One & Only South Africa, The Royal Livingstone Zimbabwe, the Relais & Chateau Belcampo Belize, and he also ran the Abercrombie & Kent bush lodges in Botswana. Kandima Maldives is delighted to announce the appointment of their new executive pastry chef, Brahim Sayah. Originally from Paris, where he trained and developed his passion for pastry. For the last sixteen years Chef Brahim Sayah has been working around the world in some of the finest hotels and restaurants, including The Jumeirah Messilah Kuwait, The Qatar Luxury Group, Maldives Constance, Banyan Tree Bahrain, Diamond Hotel Manila and also at Harrods and Sketch in London.